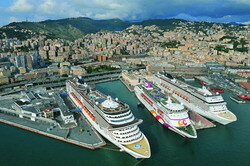 Cruise port in Genoa is the Mediterranean Sea port, located in the Ligurian Sea. 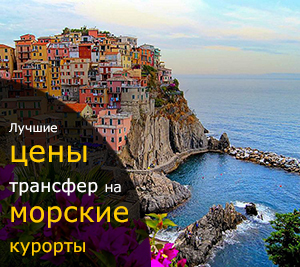 This port takes the first place in Italy by its trading volume. Port is stretched along the coast for 20 km, in addition, it includes 47 km sea route and 30 km of the existing pier. We should also note the unique capacity of the port: 4 million ferry passengers and 1.5 million cars annually pass through 5 berths for cruise ships and 13 berths for ferries. 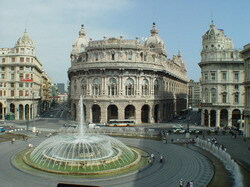 Do you want to know how to get to the cruise port in Genoa? Or from the port to the city? There are many options, but the most optimal one is to order a transfer (provided by our company) being sure to get the best combination of the high comfort and fair price.